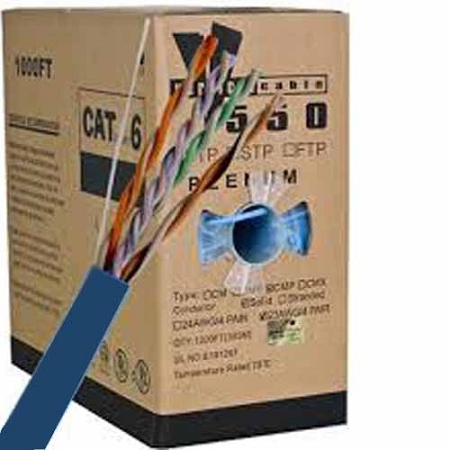 VMAX CAT6 UTP Plenum cable is a high-performing data cable that is great for commercial use and telecommunication applications. Sheathed in a PVC jacket, color-striped wire pairs are twisted for a decrease in attenuation and alien crosstalk. 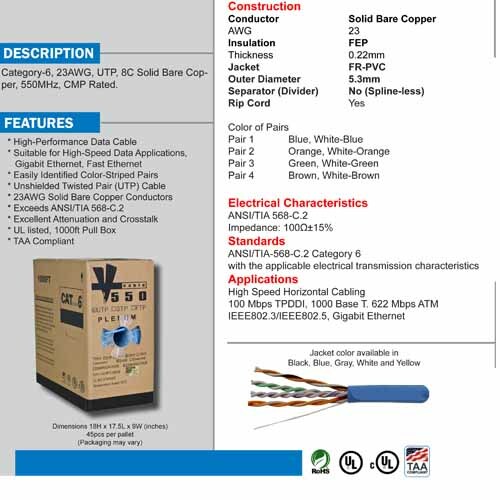 Highly conductive, each wire pair conductor is made of solid bare copper. Designed for high-speed data applications, the category 6 unshielded twisted pair (UTP) Vmax can perform gigabit Ethernet operations such as data uploads and downloads. 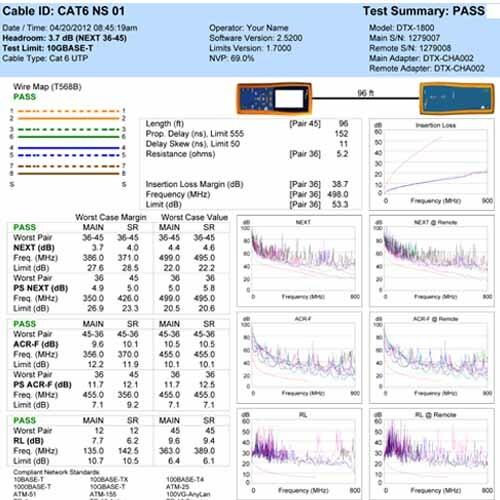 This fast Ethernet feature is great for commercial buildings that run servers and college campuses that have local area network (LAN) connections. 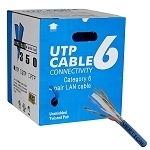 V-Max CAT6 UTP data cable is also plenum rated, which means it is fire safe. Click the "More Information" tab for features and performance data.